Sharing text and fotos are old stories, now you can share colors. Here comes the first of its kind application from Adobe. Small, Light, Sweet and Flashy – The Adobe Kuler (say it Color) built in Flash and Actionscript 3.0 is a web based application which helps you create color themes for your websites and applications (or your DTP job, or just for fun, or your favorite color combos, or any thing else you can think of). You can create and save them (If you have Adobe ID), share with other people, or keep them personal. Get inspire from themes of other users, or do something different. A variety of color models are available to chose colors from, these include the RGB, CMYK and LAB, you can also find the HEX values of colors, so if you are in hurry to find a good color for you web you can get if from here. All the modes have one base color. In analogous mode, the base color is the center of the other four colors. 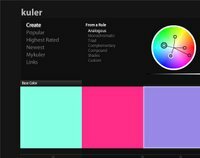 On the color wheel you define positions of all five colors using their respective pointers, finally drag the base color point to get the color variations. In Monochromatic mode, all the colors belong to the same hue, what can vary is the intensity. 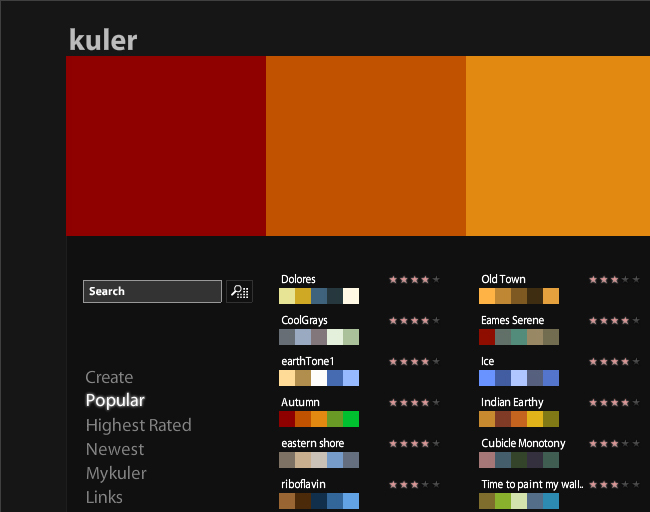 Use Triad mode to produce themes of contrasting colors. 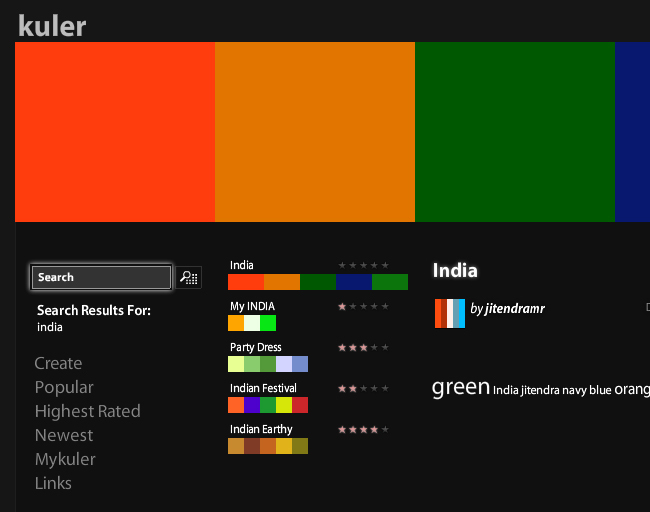 Top create a theme of opposite colors that complement each other being opposites, use Complementary theme. 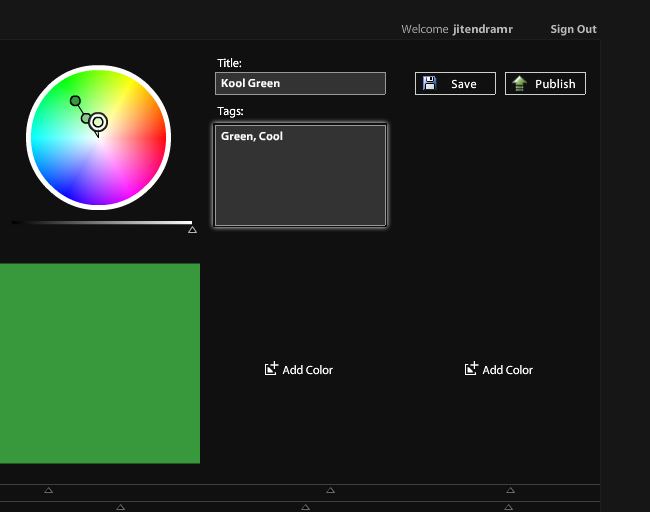 In Compound mode, you can select colors from multiple hues. 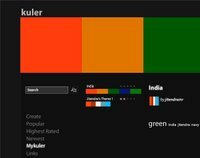 Create nice shades of a single color using Shades mode. All of the above modes can be customized using the Custom mode. You can have 1 to 5 colors in a theme. 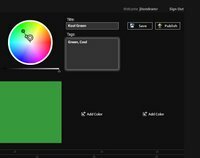 The color themes can also be downloaded as .ASE (Adobe Swatch Exchange) files that can be deployed in various Adobe products (up to CS versions but doesn’t work with CS2 products, this may be fixed in the later versions). I am expecting to see a much more robust application in the upcoming versions.